Over the course of your marriage, you have probably accumulated a variety of possessions, not to mention incomes from sources such as jobs and pensions. If you are facing divorce or legal separation, you are probably concerned about how this property will be divided. Remaining financially stable after a divorce can be difficult, so a fair division of a couple’s property is very important. Raleigh property division lawyers [firm-name], can help you make sure your rights are protected when you begin dividing marital property. To learn more about our services, call our offices at 919-833-1040. A claim for equitable distribution of property can be filed after a separation and before a divorce. It is also permissible for couples to work out an agreement between themselves without filing a claim in court. It is important to note that annulments do not involve property distribution claims. 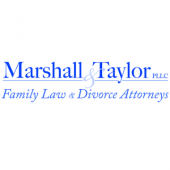 In the eyes of North Carolina law, a husband and wife should contribute equally to a marriage, even if they do so in different ways. To reflect this, any property gained after marriage is considered marital property. This means that it belongs to both husband and wife in equal amounts. There are exceptions to this rule, of course. For example, certain items of property are considered separate, meaning they belong only to one spouse. Inherited property and gifts given by the other spouse, among other items, may fall into this category. It is also possible that a precise 50/50 split of the property would not be fair to one spouse. If you believe this is true in your case, you will need to demonstrate it in court. An experienced Raleigh division of property attorney is a great asset when trying to show this. To make sure your property rights are protected during divorce or separation, contact an experienced Raleigh division of property lawyer through the [firm-name], at 919-833-1040.